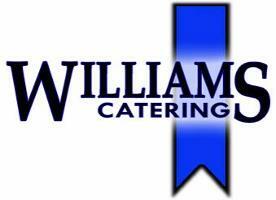 Williams Concessions Offers our Legendary Fresh-Cut Williams French Fries or our full service menu at your local sporting event, school fair, festival, parade or any other special event. A percentage of the proceeds from the event will be paid to your organization, meaning no equipment, supplies or personnel are required on your part. Fundraising Specialist and serving our legendary fresh-cut Williams French Fries, 55 plus flavors of soft ice cream, sandwiches, subs and other treats. Complete Take-out menu is available. Denny's Lennies Restaurant This historical restaurant located in Halifax, PA has the best in casual dining with delicious daily local features, hand-cut steaks, seafood and pasta dishes. We also offer domestic & imported beers and malt coolers ready for takeout. Enjoy a beer or glass of wine with your meal. Denny's Lennies Dynamic Deal Club rewards you with discount coupons, weekly features menus and a FREE meal during the month of your Birthday. Click Here for more information and to Sign up today!